Linda is the best realtor there is; I don't like realtors (just you)! Linda gives you 200% when your looking for a home! She is the best realtor and friend you can have! John & Karen relocated from Oregon! We have used a Realtor in various parts of the country around 7 or 8 times during my career; none have been more professional than our experience with you! Every aspect of our purchase, including your ability to understand what we were looking for was understood immediately. 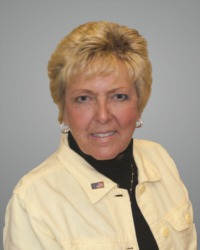 "We have chosen to use Linda Gehring as our realtor to purchase or sell four differnt properties over the last five years. We feel that it is important to have an energetic, honest and knowledgeable realtor. Her experience enhances all levels of buying or selling properties. You can't go wrong with Linda. She will always be there for you no matter of your need."